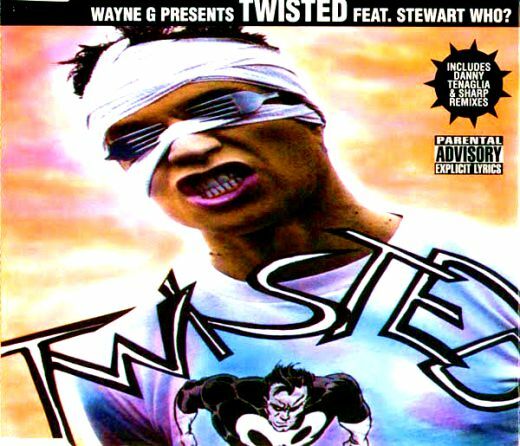 In 1997, I wrote and recorded an underground techno record with producer/DJ Wayne G. The track was called ‘Twisted’. It’s a spoken word, kick-drum driven, stream of consciousness. It was scribbled on a scrap of paper in a Bethnal Green greasy spoon on a Monday morning, after a heavy weekend. That should tell you the level of expectation and professionalism the venture was born into. 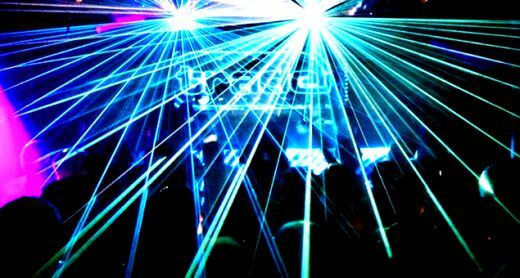 The track was written at a time when Turnmills was a chemical Mecca for pill-fuelled, laser loving hard dance fanatics. ‘Twisted’ was a tongue-in-cheek, pseudo-artistic response to that sub-cultural phenomenon. The maverick producer, John Truelove of ‘You Got the Love’ fame, instantly signed it to his dance label collective in Camden. The unexpected success of the tune led to a signing to Sony, Gold Single Sales, a ban by the BBC and an international tour. Our PR and marketing jaunt took us to Australia, Rome Pride, White Party Palm Springs, aboard a gay Caribbean cruise and to a 2001 themed beach party on Fire Island NYC. We were so surprised by this turn of events that we took a camcorder with us and documented the highs, lows and laments of the rocky disco odyssey. Those video diaries, snapshots and mini movies became the unravelling threads that were sewn into the raving tapestry that is ‘Twisted’- the movie. 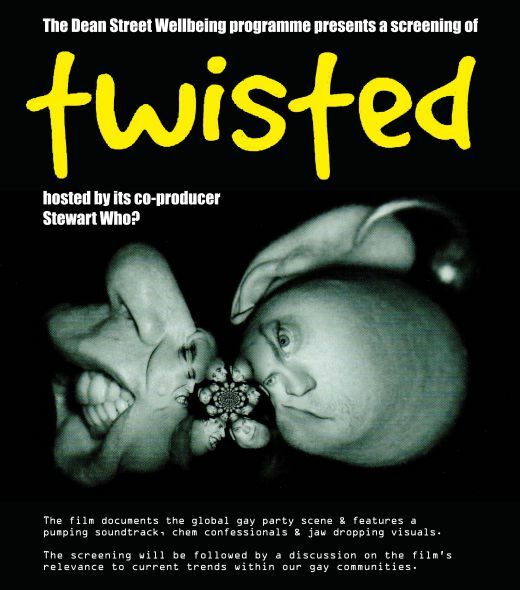 In 2004, ‘Twisted’ proved a sell-out hit at the London Lesbian and Gay Film Festival, packing out the NFT1 on several nights and prompting a slew of parties and heaps of scandal. The film has since screened at Mixfest Brazil, ICA, Festival De Cine LGBT Ecuador, London’s Elefest and last year, at a special 10th Anniversary Sunday Society screening at Hackney Picture House. The film boasts an original pumping soundtrack, breath taking editing from Paul Hammacott (I’m a Celebrity Get Me Out of Here, Pop Idol, X- Factor) and exclusive footage from a wildly indulgent chapter in club culture. In many ways, Twisted is a digital snapshot of an era that’s faded along with the dwindling memories of those who lived and raved under those particular mirror balls. DJing with vinyl? Back then, that was standard, not a hipster fetish. In ’97, every record label had a creative, well-funded ‘dance division’ and the music industry was yet to implode under the weight of YouTube, iTunes and Spotify. ‘Twisted’ benefitted from the last cheer of the dance music business, before it chugged to a halt. $20K for a Danny Tenaglia mix? That wouldn’t happen today. 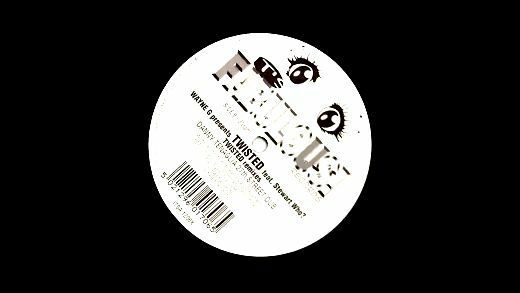 Many of the clubs and venues which inspired Twisted are now all but extinct; Trade and FF at Turnmills, DTPM at Villa Stefano, Troll at Soundshaft and Pyramid/Garage at Heaven. The music, culture, people and vibes from those clubs were hugely influential and sadly, now lost to dubious progress. In the late ‘90s, many clubbers necked a lot ecstasy and danced all night in a blur of hugs, sweat and gurning joy. It was a rather different vibe to the current clubbing cocktail of GHB, crystal meth, mephedrone and Nandrolone. This Wednesday 15th April, The Dean Street Wellbeing programme presents a screening of ‘Twisted’ at The Charlotte Street Hotel (15-17 Charlotte Street, W1T 1RJ). The show starts at 18:30 and will be followed by a Q&A/panel discussion cabaret legend Jonny Woo, QX editor Patrick Cash, HIV nurse Joe Philips and yours truly. The Dean Street Wellbeing Programme is a series of community engagement events that address topics affecting the sexual health and wellbeing of certain groups. Rather than simply diagnosing and dispensing medicine, they aim to support better health holistically, through improved community cohesion and dialogue. Last year’s events included sexual wellbeing for Trans people, (including partners and lovers), young people and HIV, fetish photography exhibitions that addressed ChemSex and film screenings/panel discussions.